Have you asked around for recommendations? Do you know anyone who has been married recently or have you seen a wedding album that you like? Look at the real weddings section on www.youandyourwedding.co.uk for inspiration or contact a professional association such as the Master Photographer’s Association. How much of the day you want photographed? Do you want photographes of every part of the day or just the ceremony and important moments such as cutting the cake? How much does the price drop if the photographer is there for only part of the day? Prices vary enormously and you’ll need to do your homework, comparing what’s on offer to find the best photographer. It is important that you like him or her too! Do you want a certain style? 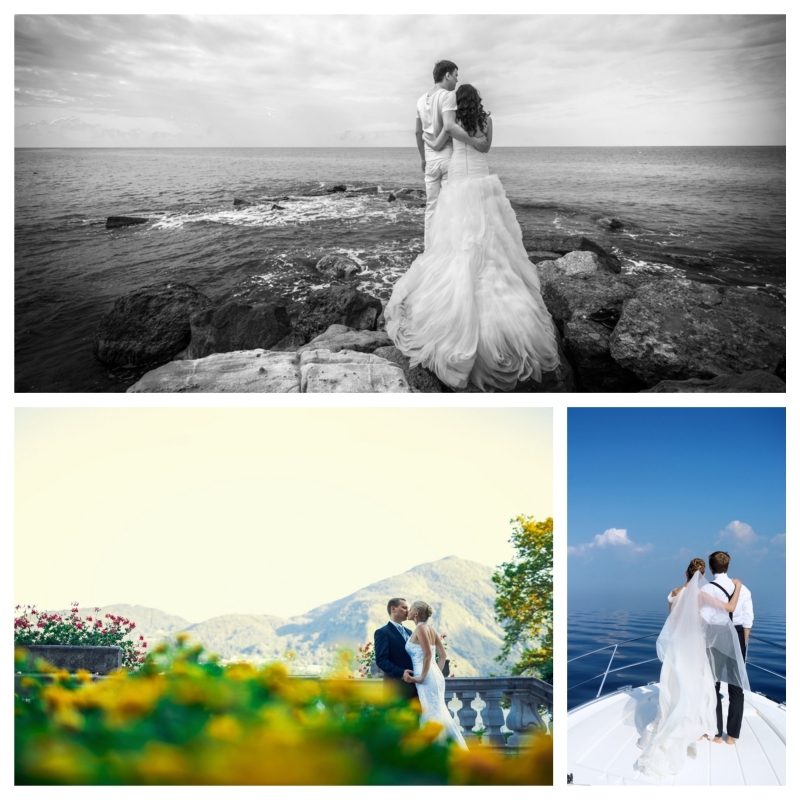 How do you see your wedding photographs? Romantic or modern? Colour or black and white? Check whether a potential photographer specialises in one particular look or whether they work with various different styles. Romantic: Every bride will want a few traditional and shamelessly romantic shots. Reportage: Relaxed, informal shots that create a storybook feel. Black and white: Even if you love colour pictures, it’s still a good idea to include a few stylish black and white shots. Sepia: Instantly recognisable brownish or blueish shots, reminiscent of very early photographic styles, that can be especially flattering. Hand tinting: This is a special technique where the photographer adds splashes of colour to black and white prints. Digital images: Many photographers use a digital camera, which means computer wizardry can be used to remove blemishes, eliminate ‘red eye’ and even change the colour of the sky.